"Collaborate on projects, track time, manage expenses and invoice your customers. Available in the cloud, from any device." Avaza scored 90/100 in the Payments & Invoicing category. This is based on user satisfaction (91/100), expert reviews (90/100), press buzz (37/100), and other relevant information on Avaza gathered from around the web. Each week we feature an app that has caught the attention of the Crozdesk community. We look for exciting features that make our lives easier, apps that take a radical approach to existing problems or a service that has everyone talking about it. In other words, apps that we think you should know about. 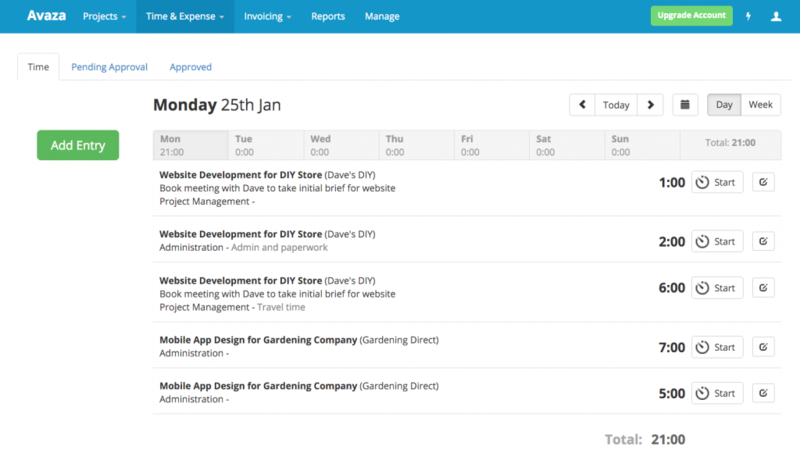 This week, we’ve reviewed Avaza, a timesheet, invoicing and project management app for teams. Avaza is a cloud-based app, designed to enable timesheet, invoice and project management among teams. Avaza’s minimalist UX is deceptive, masking a sophisticated well-designed core functionality. Avaza is orientated around particular customer accounts, in order to streamline the process of invoicing and timesheet management. Projects form the focus of Avaza’s functionality, with the timesheet and invoice functions built to work around projects. 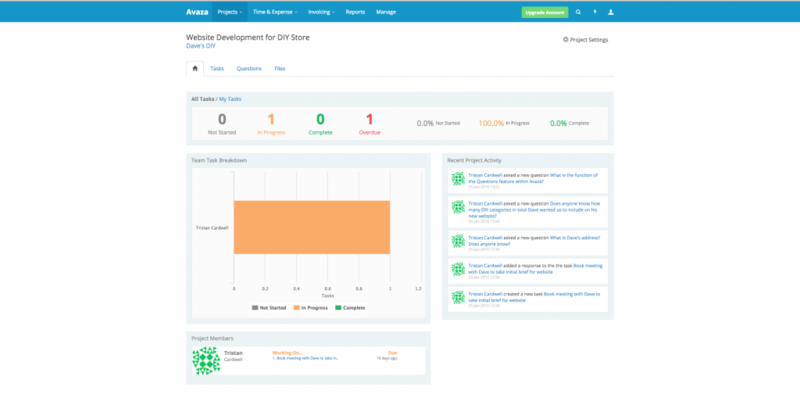 Each project features a central dashboard overview of the tasks, questions and other activity associated with that project. Creating a new project within Avaza is as simple as specifying the project name and the name of the customer attached to that project. Once created, project settings can be easily adjusted, allowing users to alter information such as the project title; the customer associated with that project; budgeted time expenditure and project members. Other useful features include a burndown chart related to that project, showing a graphical representation of work left to do against available employee time. Once a project is set up, project-specific tasks can be created and assigned to specific users. An optional email function notifies team members of any changes associated with that task. Questions can also be asked of all team members involved in that task; with each involved team member receiving a copy of the question via email. Avaza’s timesheet functionality allows users to create timesheets associated with specific projects. A useful stopwatch function allows users to start and stop timers for each task, while timesheet approval settings can be specified for individual users in the “Manage” section of Avaza. Avaza enables new expenses to be easily recorded against clients or projects. 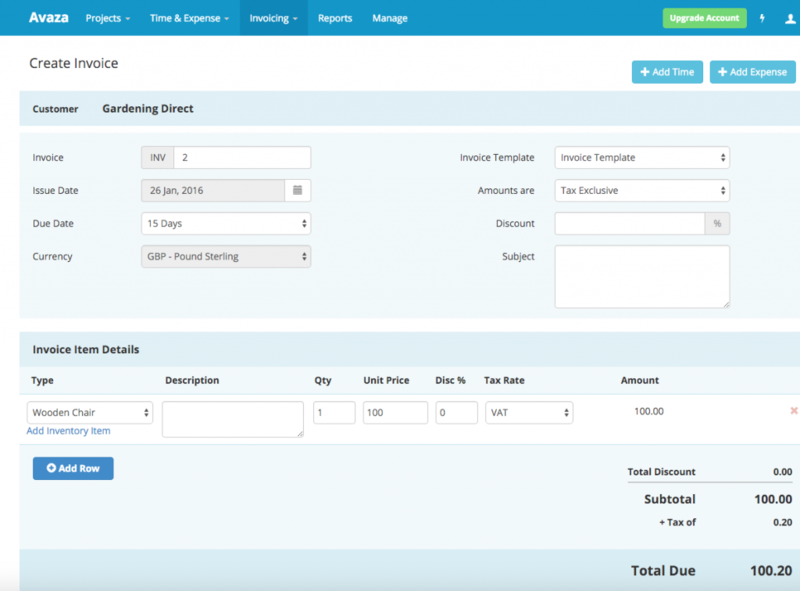 In creating a new expense, users are required to input basic details such as the name, detail and type of expense, as well as whether or not it is attributable to a particular customer and the rate of tax applicable to it. 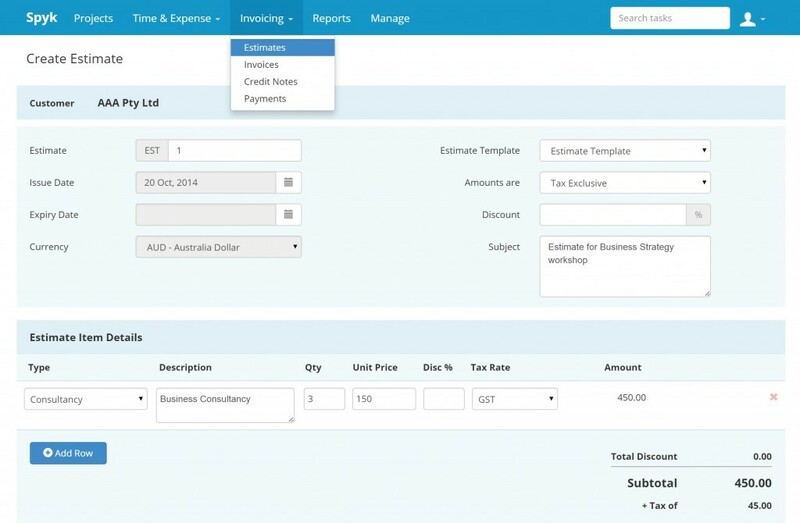 Once created, new expenses will be categorised as either invoiced or uninvoiced, and a total of all expenses will be displayed at the bottom of the expenses window. Approval settings can also be set for expenses, in the event that managerial authorisation is required. When creating invoices within Avaza, users can add time and expense details, as well as a company logo. Online payment functionality allows customers to pay online directly from an invoice using the ‘Pay Now’ button; this feature can be integrated with Paypal or Stripe accounts. Avaza’s Inventory Items feature within the invoices function allows product items or SKU’s to be pre-created and assigned a specific price and tax rate. Estimates can be quickly created within Avaza and sent to customers. Inventory items, descriptions, expenses and logos can be added to estimates, in a similar way to invoices. Client responses to estimates can also be tracked from within the estimates module. When it comes to pricing, Avaza offers a free package which allows users to add up to 10 customers. Avaza’s paid plans are very reasonably priced and range from between $9.95 and $39.95; more information can be found on Avaza’s pricing page. One of the most impressive features of Avaza is that potential use cases for the software have been very clearly defined, as part of its development. This means that the end product is full of features which make the tasks of project, timesheet and invoice management far easier. Avaza is highly intuitive and surprisingly easy to pick up. With only a few well-designed features to master, users can quickly get on with using Avaza to make their lives easier, rather than spending hours attempting to work out how the app works. While all this praise may sound over the top, it really is difficult to find a downside to Avaza. Product recommendations, vendor rankings, market overview and tips on how to select Payments & Invoicing software for business. Published in April 2019. What is Avaza generally used for? Does Avaza offer guides, tutorials and or customer support? Does Avaza offer an API? Does Avaza integrate with any other apps? Who are the main user groups of Avaza? Does Avaza offer multi-user capability (e.g. teams)? What platforms does Avaza support? What are some applications Avaza is commonly used in tandem with? 4.57/5 based on 183 user ratings. 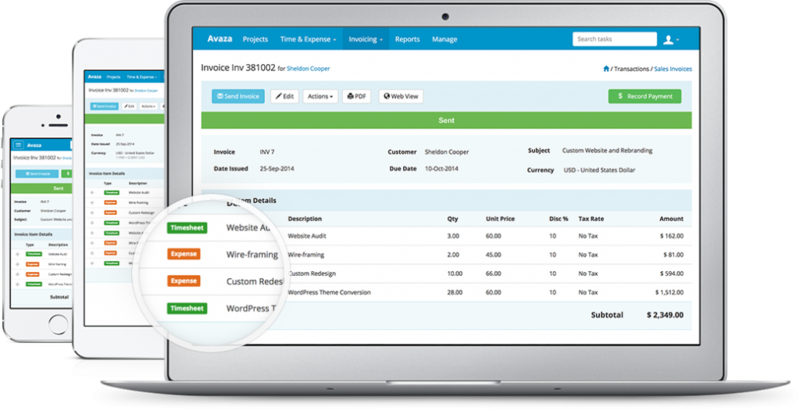 We use Avaza daily for our timesheets and client invoicing. After trying 4 different systems Avaza came out on top, with every feature we needed and a nice interface. It's a big time saver, and the reports are good.